Folks with orthodontic problems near Passaic, New Jersey can benefit from treatment by a professional orthodontist at any age. Your teeth are unique, just like you. 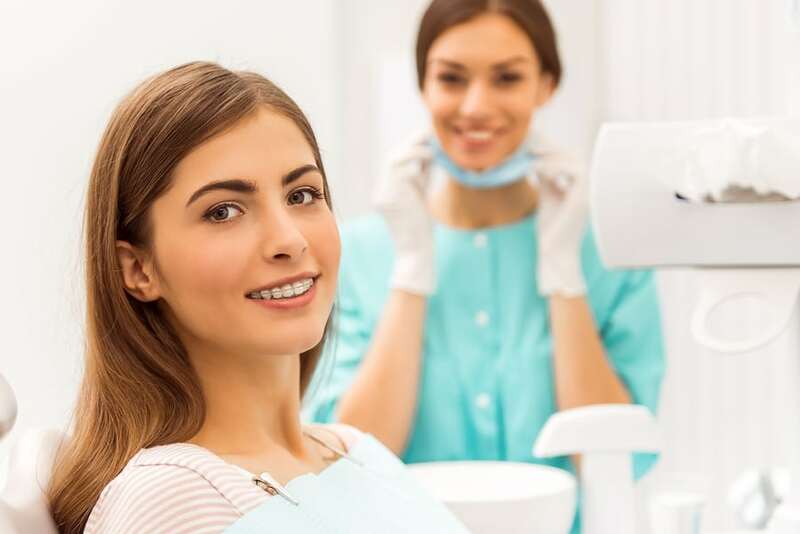 Milestone Orthodontics near Passaic, New Jersey can evaluate your oral health care needs and provide you with the best orthodontic care available. Whether you are 7 years old or 50 years old, braces can help straighten and beautify your smile. After an initial consultation and assessment of your teeth and gums, Dr. Milestone will be able to discuss with you if braces are right for you. Even after age 14, you can still benefit from an orthodontic consultation and treatment from Milestone Orthodontics. The question that Dr. Milestone is asked most often by prospective clients needing braces is, “How long do I need to wear braces?” (It depends on the individual patient’s case and their specific treatment). Most patients experience orthodontic treatments over a period of 18 to 30 months. A consultation with the team at Milestone Orthodontics is the best indicator of how long your specific treatment may last. If a patient participates in a sport that requires a mouthguard, or plays a musical instrument, make sure to speak with Dr. Milestone about playing while undergoing orthodontic treatment. You will learn quickly how to engage in your favorite activities with your braces. Whether you are 7 years old with crooked teeth or 50 years old with an overbite, Dr. Milestone can administer the appropriate treatment for your specific needs and age group. For more information or to schedule an appointment with Milestone Orthodontics near Passaic, New Jersey, visit our office or call us at 201-845-8411.